Free Oct. 1 MTSU concert goes ..
'Ask a Librarian': Listen to S..
Middle Tennessee State University’s Astronomy Club will help honor the memory of a local philanthropist by participating in a talent showcase this Saturday, Sept. 29, at Patterson Park Community Center Theater. 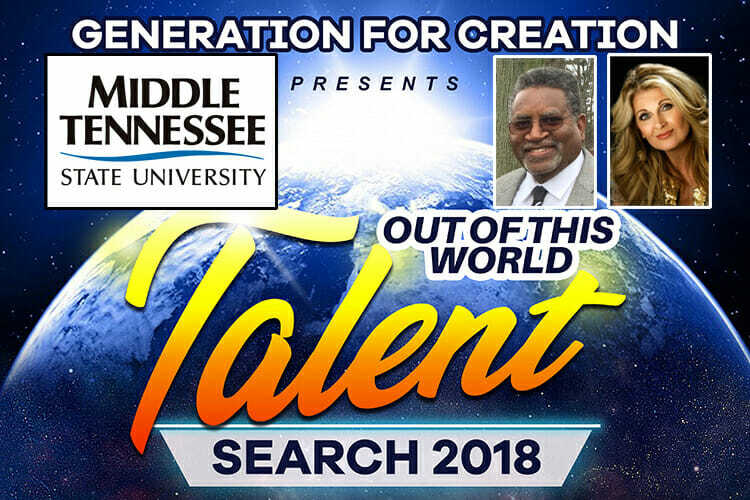 Generation for Creation, a local nonprofit that promotes visual and performing arts among area youths, is hosting its 16th annual talent contest, dubbed the “Out of this World Talent Search” this year. The event is being held in memory of Dr. George Smith, a local physician, artist and philanthropist who supported the nonprofit over the years and died earlier this year. As part of the family-friendly event, visitors can explore an inflatable solar system planetarium that will be set up by MTSU’s Astronomy Club, according to Monica Sharee Spencer, founder and director of Generation for Creation, in a news release. The student-led club will erect the darkened inflatable dome where participants can enter and view computer-generated images of stars and planets. Youths ages 7-17 will then showcase their talents beginning at 4 p.m. in the theater. The young people auditioned for their performances in the categories of drama, singing, art, dance, modeling and instrumental performance. Prizes include first-, second-, and third-place trophies in each category. Top talent will receive a cash award. Admission is free for children, students and seniors and $10 for adults. The event is sponsored by local businesses as well as the Tennessee Arts Commission, city of Murfreesboro and Sharing Change, the charitable foundation for the Middle Tennessee Electric Membership Corp.
Special guest performances will feature multiple Grammy Award-winning country artist Linda Davis, who will also provide a mini-workshop for the selected contestants. Columbia, Tennessee, native Lynnette Cole, the first Miss USA from Tennessee, will be the master of ceremonies. She’ll be joined by co-host and little brother Braxton Cole. Smith, a long-time supporter of Generation for Creation, was not only a physician and founder of Family Health Associates but also a visual artist known for his philanthropy and love for people of all ages and a person “who is greatly missed by the community,” Spencer noted. He received the Helping Hands Award from Generation for Creation in 2017. Jonny Nelson is the reigning overall winner of the 2017 Talent Contest. Nelson, who has participated in Generation for Creation talent contests since 2008, started dancing with CAT Choreography at a young age and now choreographs his own dances and tours around the country. Tickets can be reserved and purchased on the organization’s website, www.gfckidz.org. For more information, contact Spencer at 615-890-7116 or email gfckids@yahoo.com.